Chipmunk stores a record of all activity for an asset as well as all versions uploaded previously and allows you to revert back to them at any time. You can see a timeline of the asset’s revisions in its revision history and you can see the activity for them in the feed underneath. Once you're viewing the asset, if it has previous revisions you'll see them displayed beneath the current preview of the asset in the revision history, going from the newest one on the left to the original one on the far right. 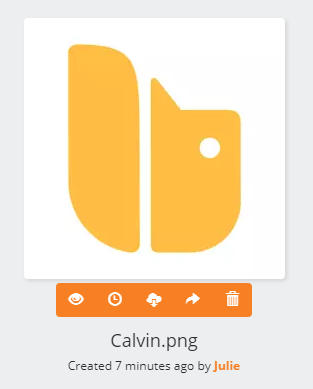 You'll also see the avatar of the user who uploaded the revision, the name of the file, and how long ago it was uploaded. 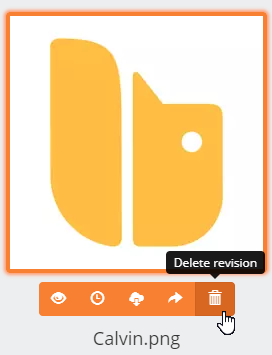 Click on a previous revision in the revision history to view it. 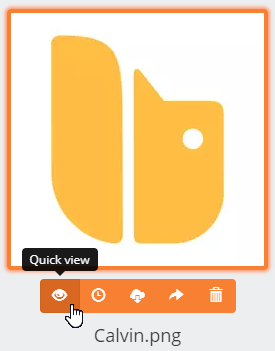 Click on the button under the preview of the selected revision to Quick view a full size version of it. 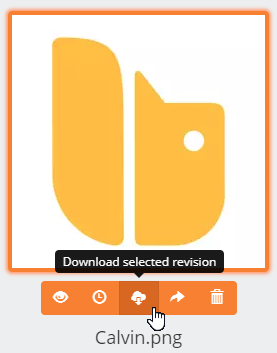 When viewing a previous revision of an asset, you can download the selected revision by clicking on the button. 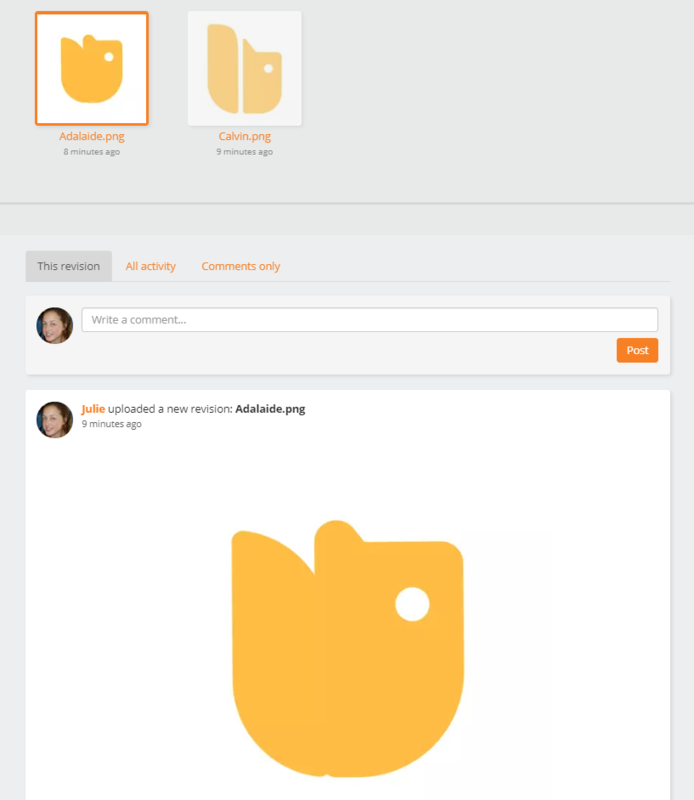 When viewing a previous revision, you can set it to be the current one for the asset by clicking on the button. 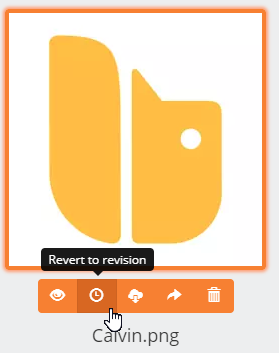 When viewing a previous revision of an asset, you can delete that selected revision by clicking on the button. 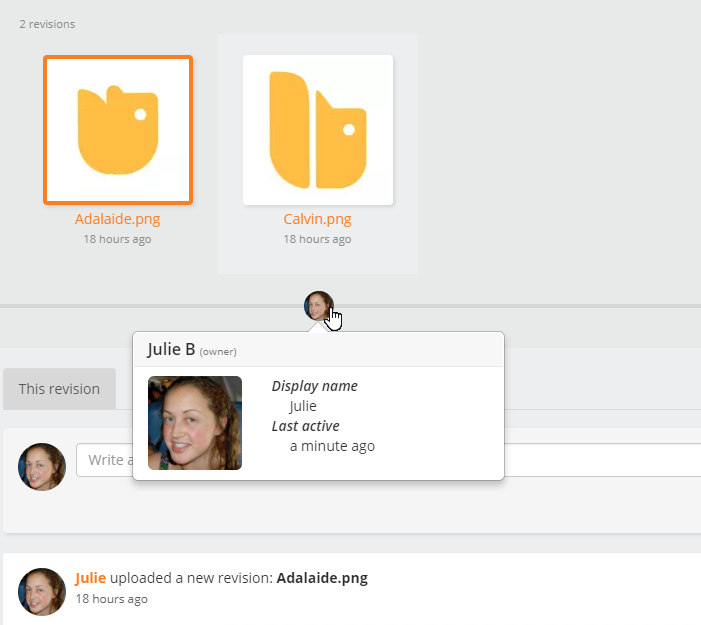 When viewing an asset, you’ll also see an activity feed showing the history of changes made to that asset below its revision history. This revision will show the activity for just the selected revision. 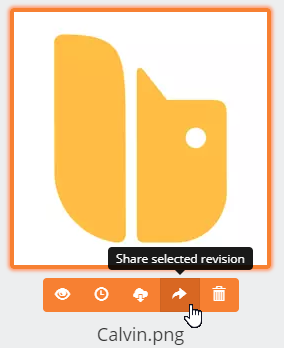 You can toggle Comments only for just those left for the selected revision, or view All activity for all revisions of the asset.